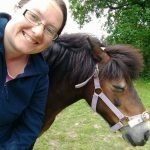 Millie is defined as an Equisimulator. Originating from Holland she was the first of her kind to be set up in the UK. This type of simulator is the second generation of equisimulator, more realistic in width, movement, and functionality. 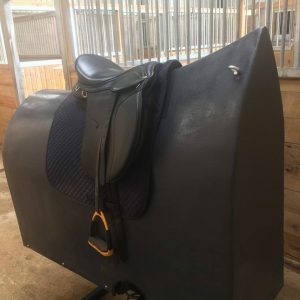 We are stupidly proud to have made Millie fully portable allowing us to travel the country helping individuals, such as yourself, to up their riding game for themselves and their horse’s health. So, how does she work? Mechanical Millie ( the simulator) is powered by the rider’s movements. If the rider does not move correctly, the machine is designed not to move. Today we often hear terms like “sit deep”, “Use your seat” and “ride your horse.” But, what does this mean exactly and how can you simplify and apply changes to your routine? Do not forget, your horse can ride without you! You need to be that beautiful passenger, a discrete influencer and the perfect partner. 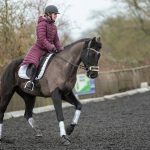 A typical session can focus on posture, walk, trot, canter, trot diagonals, feel, canter leads, turning, weight aids, straightness and much much more. Are you a business that has an event coming up? Boots and riding hats in a much more realistic and fun environment. 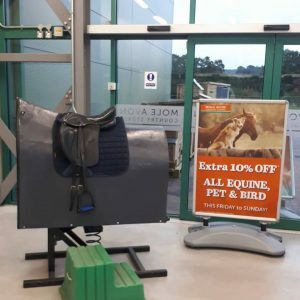 Being the only fully travelling equine simulator of this type this is a unique and amazing opportunity that can make your company stand out from the crowd.